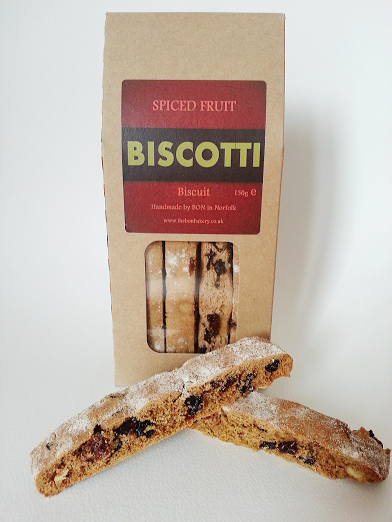 After lots of research we have perfected a unique, delicious biscotti recipe. 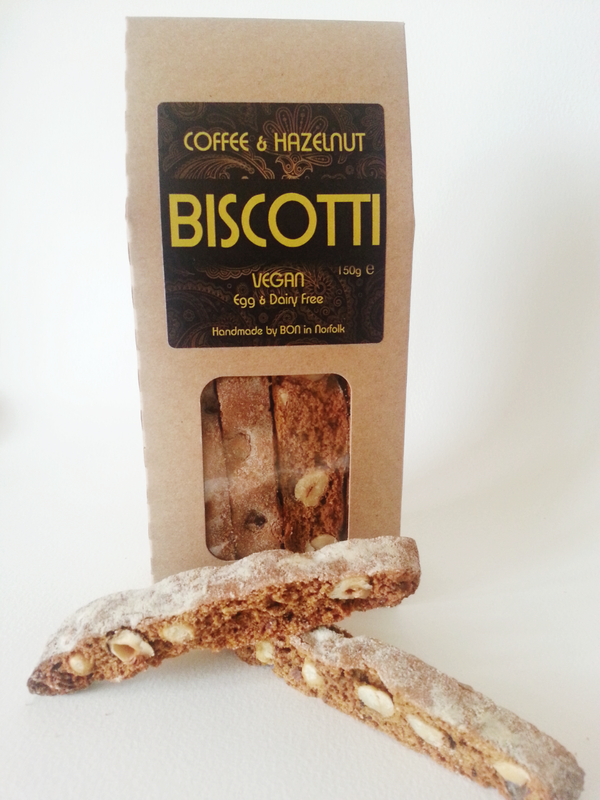 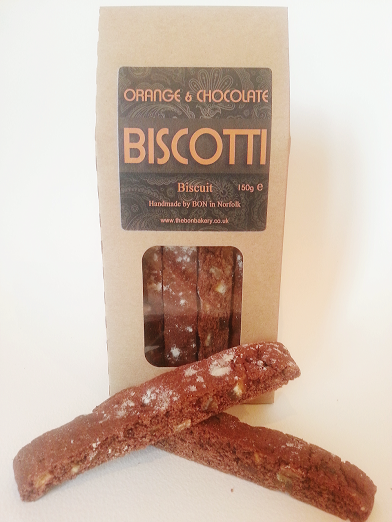 Our biscotti come in a variety of delicious flavours and are popular among vegan and non-vegan biscuit lovers alike. 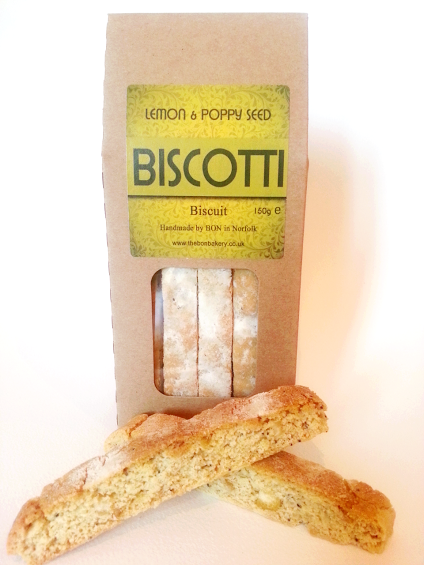 You will be surprised such a great taste is possible without butter, milk or eggs. 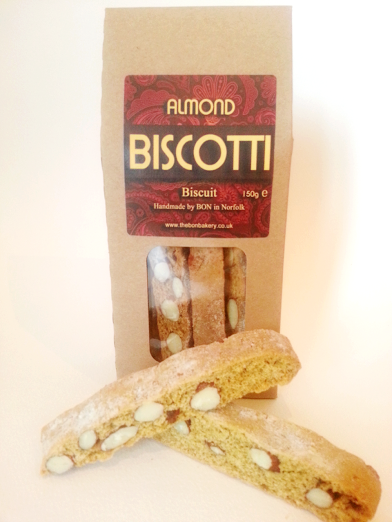 Light, super-yummy and crunchy enough to dunk well in a hot drink, but not too crunchy to eat alone. 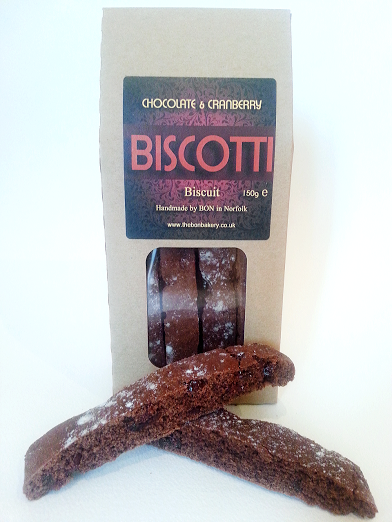 Unlike other biscuits, Bon Biscotti are low in sugar, so when you eat them you needn’t feel guilty at such a yummy pleasure!